However, last night we had a slight moment of snow (or slushy, wet snow rain). And hubby was just telling me the other day that soon we will have to take off the snow tires. Deadline to take them off is prior to April 1st. I think I will wait till then. These snow tires helped with commuting to work. Last year, with no snow tires, I had to miss a day or two of snow days. 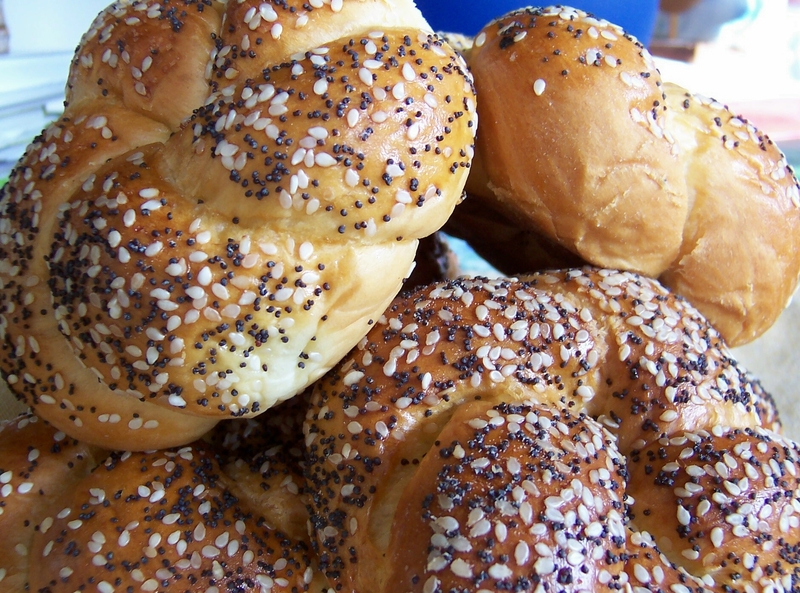 As I write this entry, I’m having a quiet time enjoying my CHALLAH ROLL. I love these rolls, reminds of the time that I used to live in the ‘city that never sleeps’. For me, these rolls go well with cream cheese and lox, or with plain ol’ butter. I didn’t have cream cheese or lox so I opted for good ol’ butter. Also, they go well with coffee. Since am not too crazy for coffee, tea is definitely alright. Last week, I posted What’s on The Needle for ongoing and future projects. What I’d like to say today is: I hardly touch the needles for a whole week. I have been fickle as to what I wanted my next project to be. There are SO many wonderful patterns to choose from. From the moment I choose one, a new magazine or book publication comes out to entice me. I get so excited, then confused, then dizzy from all the great spring and/or summer patterns. Don’t you feel that way sometimes? So, that said, here’s another pattern (very easy) that I am considering right now. 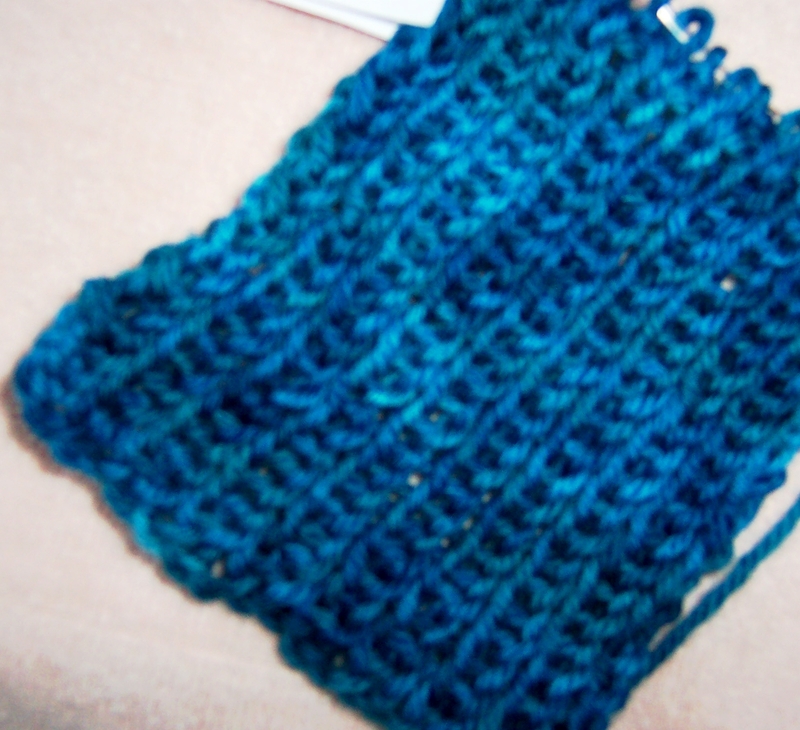 I had my swatch done and love the feel of the yarn. 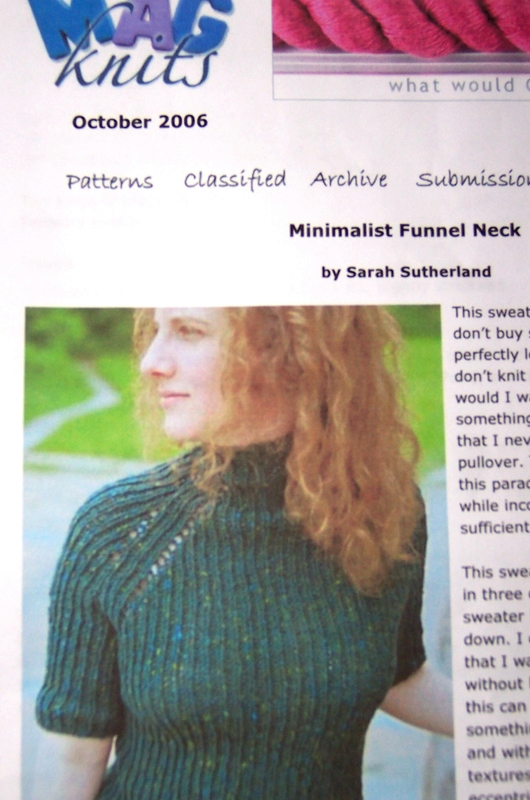 The pattern is from Mag Knits, October 2006 website. The yarn is from ArtYarns Supermerino.